Atomizzatore eleaf gs air 2! Eleaf GS-Air 2 Dual Coil Airflow Adjustable Atomizer - 2ml is specially designed for iStick battery and no burning taste even at high wattage. It is a perfect choice for your vapor life. 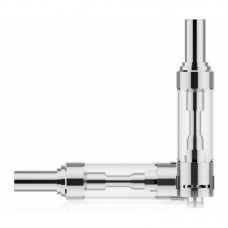 Screw the base off GS Air 2 atomizer firstly. Slowly refill the liquid into the two small holes along the tube. Pay attention don't add liquid into the air pipe and do not overfill, leave a small air pocket in order to avoid leakage. Change airflow by adjusting the tightness of screw that will let you enjoy different vaping experience in a easy and practical way. 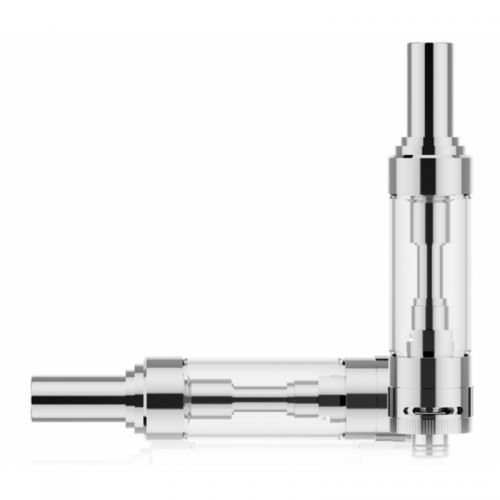 Pull out the atomizer head from the base and replace a new one. It's 510 threaded, compatible with 510/eGo threading batteries.